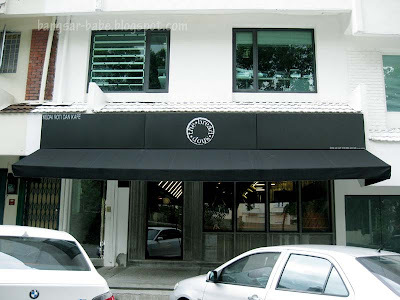 Tucked away in Damansara Heights, The Bread Shop is located at the same row as the original Decanter. Cement floors, high wooden tables and chairs, mirrors placed at strategic places and a stainless steel kitchen add a modern touch to the shop’s interior. 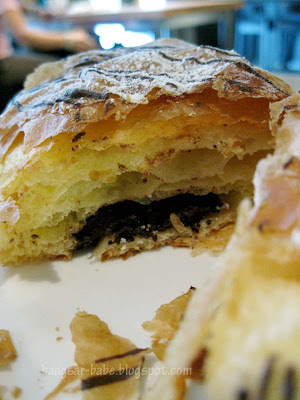 The chocolate Danish (RM5.80) was rather good, as was the peach apricot pastry (RM5.80). Between the two, I prefer the latter. 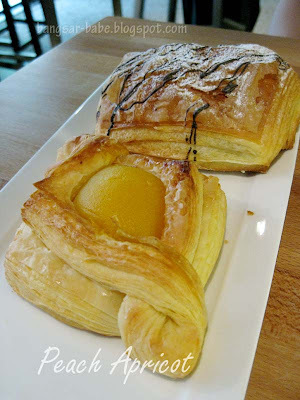 The pastry was buttery, golden, flaky and deliciously crisp, topped with apricot bits and half a juicy peach. Chocolate Danish comprised layers of flaky buttery crust with rich chocolate filling which I thought was a bit scant. I don’t get why they charge RM2 for jam and RM1 for butter/cream which we had to order to go with our scones (RM4.80). 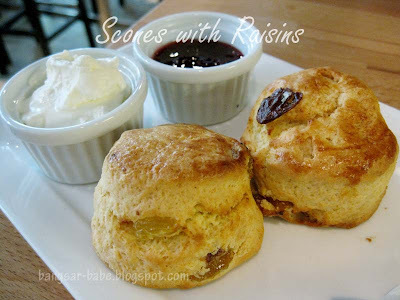 Should scone come WITH cream and jam? Tastewise, I found the scones average and didn’t like the whipped cream (might be normal cream…but definitely not clotted cream) they gave us. The jam however, was nice and tasted of real fruits. 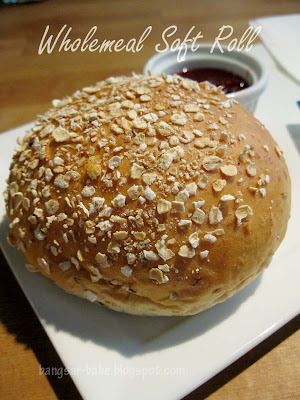 The wholemeal roll (RM1.80) was soft and fragrant, but I’m used to the wholemeal rolls my mum makes — this didn’t impress me. 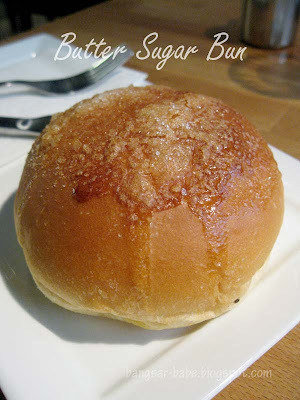 I liked the butter sugar bun (RM2.80) as it was fluffy, soft and of just the right sweetness. 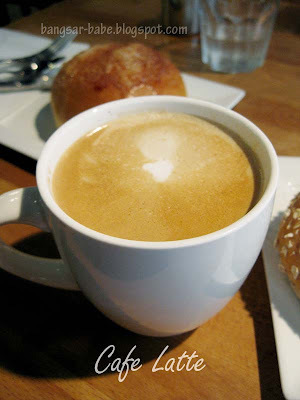 Cafe Latte (RM7.80) was rich, creamy and of just the right temperature. To summarize, I liked the pastries but didn’t care much for the scones and rolls. I would come back to try other things, and I might just bring along my own butter and jam (RM3 for a bit of butter & jam isn’t cheap)! Verdict: A nice place to go to for pastries, rolls and coffee. it's great that unlike many other bakeries, they have tables and seats for customers to hang out while eating their pastries. definite plus point for those of us who don't really do takeaway! 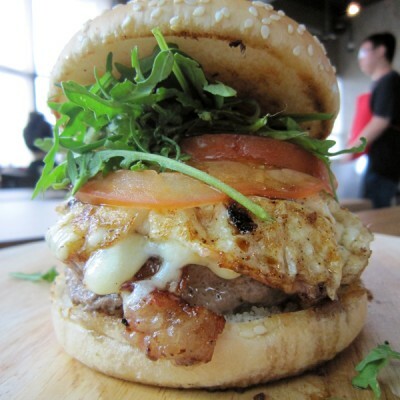 More bread please, after the CNY binge! Happy and Prosperous CNY to you! Whr got good scones ahh? The teapot cafe at SS2 has dropped in quality! Is the pastries here better thn the ones ar O Gourmet;s? 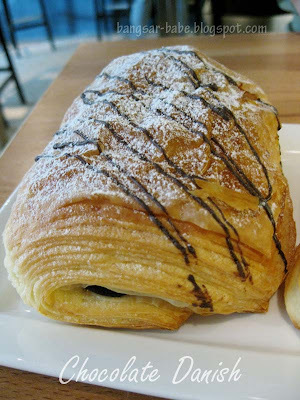 nomad – I think the pastries here are slightly nicer. But a lot more expensive. babe_kl – I know…so disappointing! worldwindows – Same to you! Bring on the bread! !